Members of the All Progressives Congress have been described by the Peoples Democratic Party as desperate people whose main agenda was to hijack government at all cost in 2015. The Peoples Democratic Party (PDP) has said that the Controller-General of Customs, Col. Hammed Ali, (rtd), is talking rubbish. This is in response to the claim by the Customs boss that the change agenda of the Muhammadu Buhari government had been hijacked by the former members of the PDP who were now in the All Progressives Congress APC. The party further described members of the APC as desperate people whose main agenda was to hijack government at all cost in 2015. Spokesperson for the PDP, Dayo Adeyeye stated that the ruling party had no justification to heap the blame of its alleged incompetence on another party. He said, “he (Ali ) is talking rubbish. First and foremost, those he is referring to as PDP members are no longer members of our party. The moment you leave the PDP and join the APC, you lose our party membership. “The Buhari government used them to win election, to form government and also form the majority in the National Assembly. Tell me, how are they now PDP members? 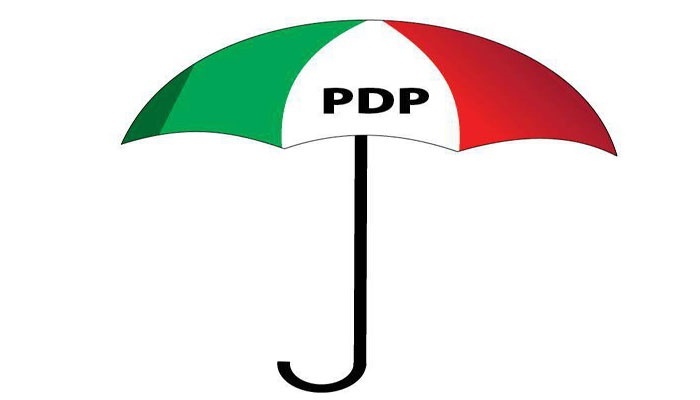 More than three quarter of their so- called governors were members of the PDP. “Members of the kitchen cabinet were never members of the PDP. You can’t have your cake and eat it. It is not possible. Adeyeye, further said, “If you look at those working with the President, I mean members of his cabal, none of them was a member of the PDP. “They are members of the so- called APC who came from all sorts of political parties. And have never been able to run the government effectively. “So, instead of Ali to accept that the APC government is a complete failure, he is looking for excuses that are not there. APC is indeed a complete failure, always looking ahead to blame the PDP for its failures. “They have no plans, no programme for Nigerians. It is a group of desperadoes who want power at all cost. They ran the economy aground.